We’ve been making bespoke bridal jewellery and anniversary jewellery for a wide variety of people since we started VIVON. In fact, I’d say that bespoke jewellery is the core of VIVON. that if the jewellery embraces the heart/spirit of the wearer or sender. 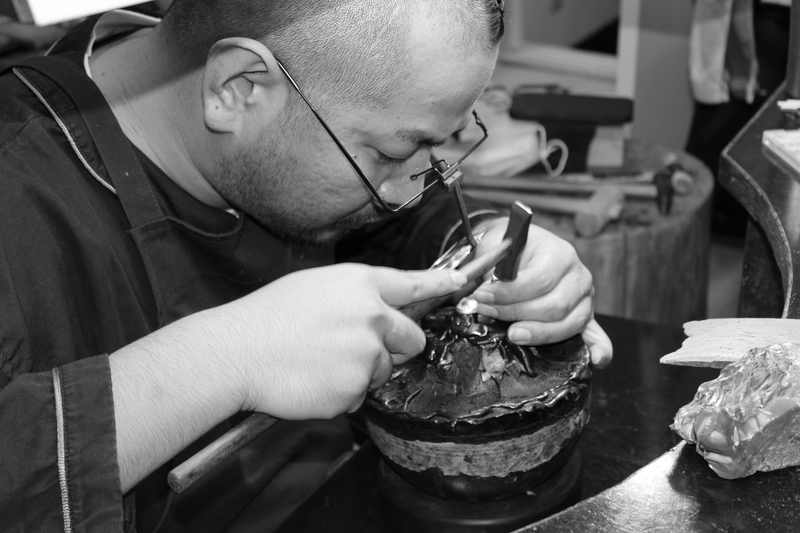 Therefore, we ask our customers for key words or stories they want to include in their jewellery. It is very important for us when we design, and those key words and stories make us understand the customers’ feelings better and create more original jewellery with an essence of VIVON. We also think that this process is a good opportunity for our customers to think about themselves deeply once again. We take any kinds of orders, such as mementoes and anniversary gifts, in addition to bridal jewellery.